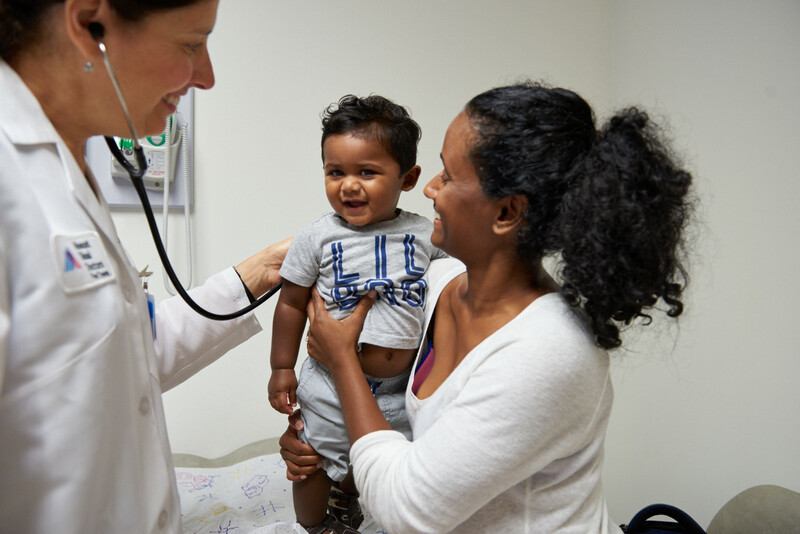 At Mount Sinai Doctors Five Towns, our pediatricians provide high-quality medical care in a warm, family-friendly setting. Whether your child is running a fever or simply due for a check-up, our accomplished pediatric team is pleased to put their decades of experience to work for you. Our experts in children’s health are highly skilled, providing the best possible preventive and sick care. We are experienced in evaluating and treating symptoms that include fever, sore throat, cough, headache, ear pain, stomachache, spitting up, vomiting, diarrhea, constipation, diaper rash, injuries, and wheezing. We also provide all immunizations, growth assessments, attention-deficit hyperactivity disorder (ADHD) evaluations, blood tests for allergies, and testing for sexually transmitted diseases, if appropriate. If your child is diagnosed with a condition that requires in-depth attention—such as asthma, diabetes, cerebral palsy, spina bifida, or epilepsy—we can provide referrals to the best pediatric specialists in the area. We also make recommendations for skin testing for allergies, physical therapy, occupational therapy, speech therapy, hearing tests, and gynecologic care. Mount Sinai Doctors Five Towns provides expert diagnoses and treatments for a range of digestive diseases in children, including inflammatory bowel disease, celiac disease, short bowel syndrome, abdominal pain, failure to thrive, gastroesophageal reflux, constipation, and liver and biliary disease. In addition to medical and dietary management of common digestive conditions, our pediatric gastroenterologist, Joanne Lai, MD is skilled in providing diagnostic and therapeutic endoscopic procedures (the use of special instruments to look inside the body), as well as the newest treatments for pediatric inflammatory bowel disease. Our team also strives to build an open, comfortable relationship with each of our patients and their families, taking the time to fully explain all treatment options and answer all questions. Through this blend of comprehensive care and compassionate attention, we are committed to helping each child in our care achieve the best possible long-term health. Our pediatric team takes the time to establish a relationship with you and your family so that we may provide the very best long-term care. We understand that parents have many questions about their children’s health on topics that include allergies, antibiotics, behavior problems, breast-feeding, dental care, vaccines, medications for ADHD, and growth milestones. We will take the time to answer every question you may have. We see adolescents aged 13-18 without their parents in the room and answer their questions confidentially. This opportunity for teens to discuss their concerns privately creates patient trust and optimal care. Our two full-time pediatricians—both of whom are parents themselves—have spent decades serving the local Five Towns community. Madeline Rose Lalia, MD, has practiced pediatrics for 30 years. She trained at Mount Sinai for five years and did a fellowship in endocrinology before entering general pediatric practice. 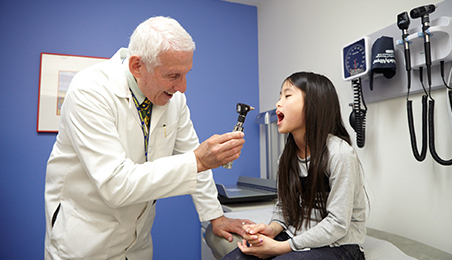 Donald P. Lawrence, MD, has been practicing pediatrics in Hewlett for more than 40 years. He is also the school physician for Lawrence Public Schools. Should additional diagnostic or treatment options become necessary, our Mount Sinai Doctors Five Towns patients also have access to advanced care throughout the Mount Sinai Health System. For your convenience, our office is open Monday through Friday from 8:30 am to 5:30 pm, and Saturday and Sunday from 9 am to 12 pm. Same-day sick appointments are available, and you can always reach one of our doctors by phone, 24 hours a day. We participate in most major insurance plans. If you’d like to talk before deciding to make us your go-to pediatric practice, we’re happy to chat by appointment at no charge. Call to set up an appointment to speak with one of our pediatricians at 516-563-7200.